that showed by our side. 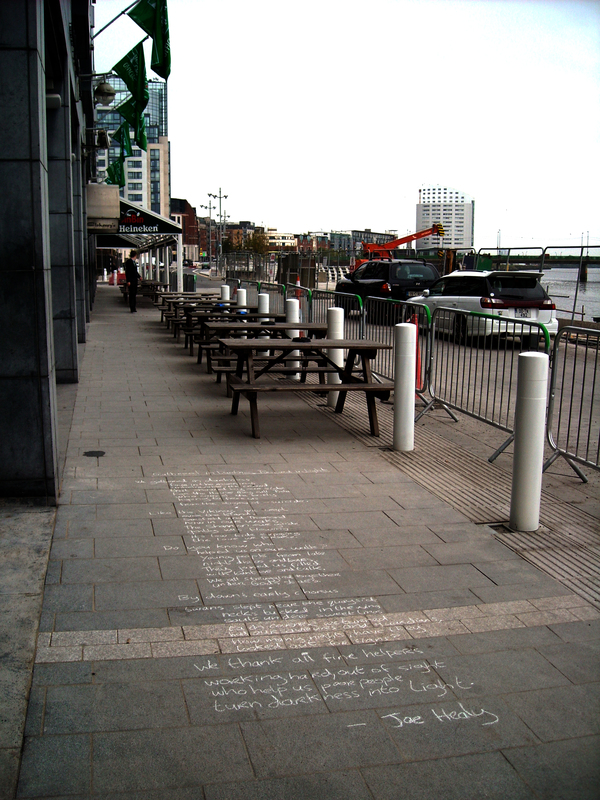 from the stigma of – suicide. helped us on our walk? 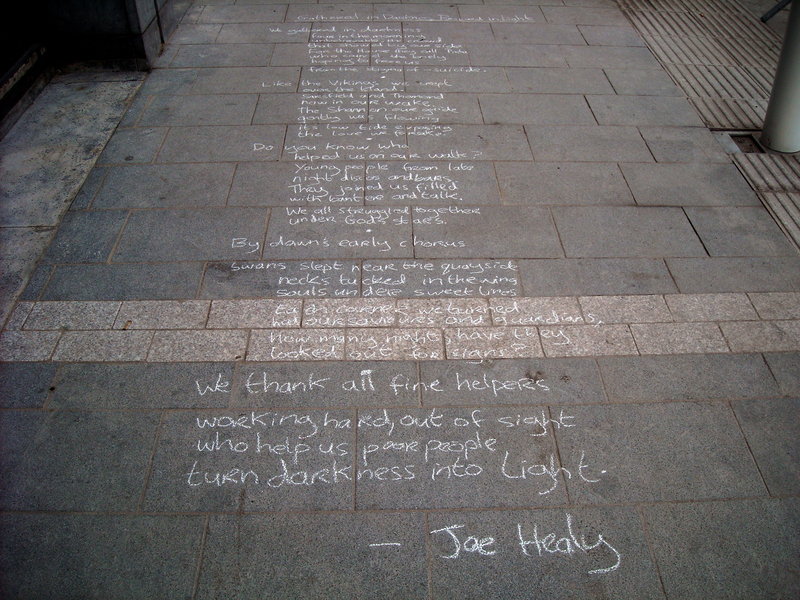 This entry was posted in Uncategorized and tagged Chalk, Howley's Quay, Joe Healy, Limerick, place, poetry, Socially Engaged Art, street line critics. Bookmark the permalink.